Join the WNRCD and partner organizations for workshops and events. Throughout the year WNRCD conducts workshops, trainings, events and displays. If you have an event, workshop or training that you would like to post to the calendar, just share the event via a google calendar with: info@winooskinrcd.org. Waterfront Living in Vermont: A Septic Solutions Conference. Thursday May 9, 2019. 8:30 am – 3 pm. UVM Davis Center. Free. The Septic Solutions conference is for Vermont homeowners along rivers and lakeshores as well as septic designers and installers to explore design and financing solutions to address our aging septic infrastructure. The conference will share innovative systems for small lots, available technology and financing resources, and provide continuing education credits for licensed septic designers.Conference is supported by the Lake Champlain Basin Program and New England Grassroots Environment Fund and it is being coordinated in partnership with Lake Champlain Sea Grant and the Department of Environmental Conservation’s Lakes and Ponds Program and the Drinking and Groundwater Protection Division. Topics include Septic 101, Navigating the Permitting World, Financing Solutions, and Showcasing Innovative and Alternative Systems, and participants are encouraged to visit the vendor exhibit. Door prizes to include a free septic consultation from Advanced Onsite Services and a trip for two on one of Lake Champlain Sea Grant’s Summer Boat Cruises. Event offers 2 continuing education credits for licensed septic designers. Registration is now live and closes May 1st. We have limited seating. Implementing Conservation for Water Quality: A Conservation Commission Workshop. Saturday May 19 2019. 10 am – 2 pm. Free. 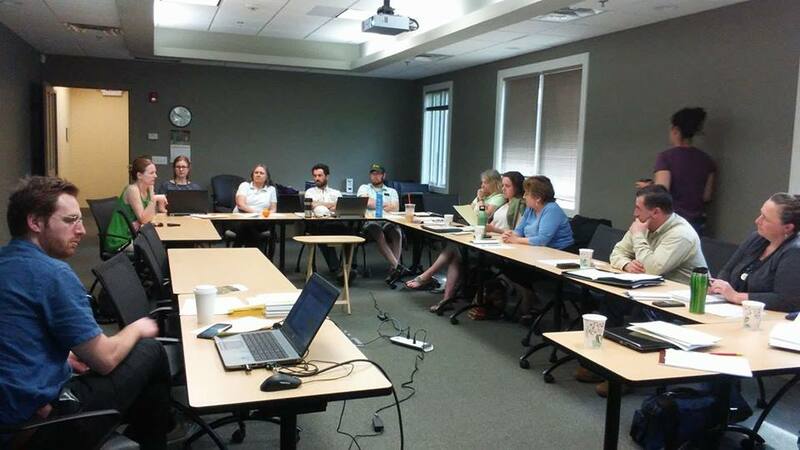 This training will empower Conservation Commission members to identify water quality issues in their towns, connect with members of other commissions and walk away with a road-map for implementing projects. Email kristen@winooskinrcd.org if you are interested in participating. 2019 Erosion Control Field Day. Wednesday June 12th, 2019. 8 am – 3 pm. Richmond Congregational Church. This workshop teaches techniques for preventing and controlling stream bank and lake shore erosion for water quality. Materials and practices for controlling sediment run-off including native landscaping and bioengineering will be displayed and presented. Participants will gain hands on experience with emerging technologies and best practices. Workshop is designed for watershed practitioners, landscape designers, engineers, contractors, and the interested general public. Registration required, $30 fee includes morning refreshments and lunch. Event is being coordinated in partnership with the Vermont Department of Environmental Conservation Lakewise Program. A portion of the day will be spent outside, please bring water and appropriate gear for the weather. For more information and a tentative agenda see here. Event offers six contact hours for professional development which can be applied to recertification for the three year Vermont Natural Shoreland Erosion Control Certification, and the EnviroCert recertification. Registration is now live. Closes June 1st, space is limited.